After watching this week's Zyuohger and Kamen Rider Ghost as subbed by Over-Time subs, I'll give some of my thoughts on this year's crossover. We've had Kamen Rider Decade having the Shinkenger for two straight episodes, now I'll share my thoughts on them ghosting and zyuesting on each other's shows. The first half is with Zyuohger's show where Takeru Tenkuji becomes the ghost of that show (pun intended like the title). The main plot of the episode involves Kubar playing a new game with the others. Amu gets merged with a Moeba soldier and Tusk is in a dilemma. The rest of the Zyuohgers now face a Shocker mutant that maybe only much older fans of Kamen Rider will recognize. So just think a parent watching Zyuohger with their children might say, "Kids, that's a monster from my childhood." 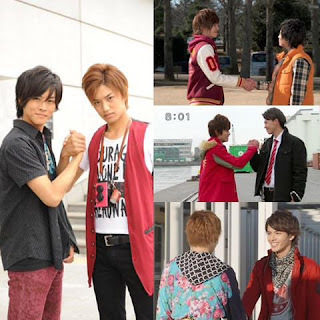 Considering we have another Super Sentai x Kamen Rider crossover with Zyuohger and Ghost, let's take a look back at the official crossovers that actually happened. I'll be sharing some of my views and opinions for these crossovers. I remembered back then I really got pessimistic over this idea. Sure it can sound nice on paper but I felt like the concept could've been a disaster. I always thought about my preconceived Great Professor Biases during the time this was advertised. I thought of stuff like what if Mako gets a cold or it's going to be as bad as I think "Friend in Need" was which was the crossover between Mighty Morphin' Power Rangers and Saban's Masked Rider. But I was surprised that it actually improvised where "Friend in Need" failed to do. "Friend in Need" still deserves some credit for actually giving an idea having two separate franchises have a crossover special. 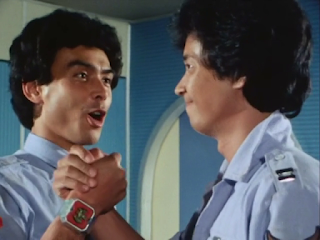 Sentai Badass Moment: Kyousuke's Passionate Love For Zonette! Destroying a monster out-of-suit is one of the rarest things in Tokusatsu. Most of the time, that feat can't be easily accomplished. But in a few cases, they were accomplished by the likes of Ken Hoshikawa vs. Amoeba Rugin and Eiji vs. Ouga (but it wasn't as good). Here's one scene that really is a very rare scene that's hard to find. Just as Gorutsuki is about to make Zonette fall in love with Gynamo, we see Kyousuke do a jump punch then protect Zonette. While it's been too standard and common for rangers to do some attack then morph but this one ends up with heavy, heavy action. 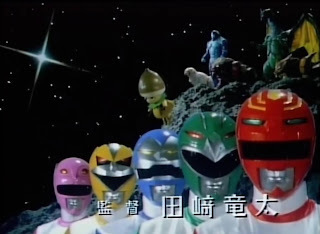 Considering tomorrow is the day of TokuSpirits and yup this is remembering childhood for some Filipinos (too bad none from Jetman is in this picture) where they saw Fiveman, Maskman and Turboranger dubbed in Tagalog together with Bioman dubbed by Telesuccess. So maybe some can remember the dubbed names like Michael Joe for Takeru/Red Mask and Kimberly for Hikaru Katsuragi/Pink Mask and Ricky for Riki Honoo/Red Turbo. 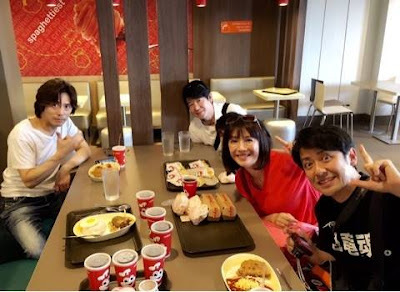 From left to right we have Kei Shindachiya, Kazunori Inaba, Michiko Makino and Kenta Sato (which his name somehow got honored in Megaranger). Space Outlaws Deathgalien: My First Impression On These Intergalactic Bounty Hunters! 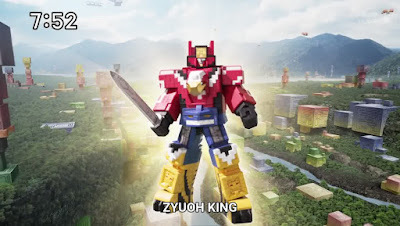 After watching the first few episodes of Zyuohger and fortunately, it doesn't give me that, "Oh my! I'm so not gonna like this! That's it! I quit on this series!" impression which I had with Kyoryuger (and even the first quarter can be painful for me), ToQGer (just boring, plain boring) and Ninninger (after which, I can't really like it after watching it from start to finish)... now it's time to talk about my first impression on the Deathgalien. In case you didn't notice- you can see that the name is a combination and play on the words "death", "game" and "alien". So what's my thoughts on these guys for the first few episodes? As part of the tribute that Zyuohger is the 40th Super Sentai series (though each decade of Super Sentai gets some major changes), I thought these characters or at least their designs or concepts could've been used into later seasons of Power Rangers. Maybe they could have tried to create a suit for Emperor Grumm based on Fuehrer Hell Saturn instead of Vulgar from the Dekaranger movie. Both were controlled by the "Magnificence" as the literal brain behind their organizations. Of course, keep Omni as it is due to being the improved version of the Black Sun God in Sun Vulcan. I wish Mora's grown up form could have used a modified version of Amazon Killer for Power Rangers SPD. 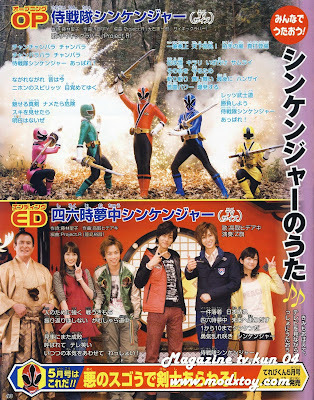 So Really, What Took It So Long For Toei To Make A Samurai Themed Super Sentai Season? While watching Zyuohger after a couple of episodes (and I am FEELING POSITIVE about the show in contrast to some Super Sentai seasons as of late) I really wanted to write this entry. 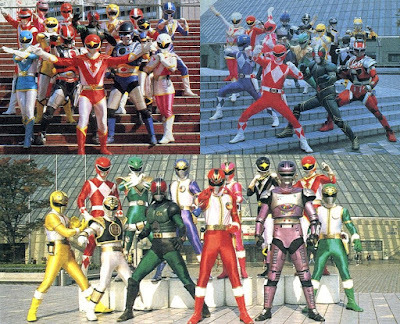 There's a couple of Super Sentai shows that are great from both the old school and the new school. Some of them are awesome shows with awesome mecha while others can be a good show but give you a good show but wait, the mecha is really weird or maybe you might say it's UGLY. I feel like I'm going to enjoy Zyuohger but can't stop commenting that mecha designs aren't really good. I remembered how I felt ToQGer was uninspired with the ugly mecha never mind that some of my favorite Super Sentai seasons really have really "ugly mecha". 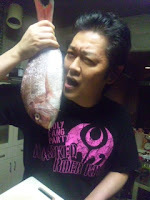 Toshiki Inoue and Yasuko Kobayashi were both writers that both have developed some status in the Tokusatsu's writings. So I thought about writing on them and comparing their similarities in JEFusion. So what do Jetman, Gingaman and Shinkenger have in common? They really derive a lot from the era of Hirohisa Soda's era as a headwriter and more importantly Takeyuki Suzuki as the producer. Now let's move forward to these masterpieces which I think Jetman and Shinkenger are just plain overrated while Gingaman gets enough credit. So What Too It SOOOOO Long To Make A Police-Based Super Sentai? 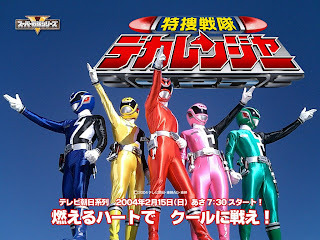 While looking at Dekaranger as a police-based Super Sentai season, I also wanted to give thought on it on how would it be as an 80s or 90s Super Sentai season. But there was one HUUUUUGE problem to how it could fit in back then. From the late 80s to late 90s, Toei still had the ongoing Metal Hero franchise. If Dekaranger tried to be part of Hirohisa Soda's era as a head writer, it would have to compete with the Space Sheriff Trilogy. If it was during the 90s, it'd have to deal with the Rescue Police Trilogy namely Winspector, Solbrain and Exceedraft. These shows had no main villains involved. After Gokaiger, it as when I felt like that there was going to be a real slump. I did like Go-Busters but other fans felt like it wasn't enough to make up for the hype that was Gokaiger. Then after Go-Busters I'll admit that Kyoryuger was one show that really wasn't my cup of tea to the point watching Abaranger subbed by Another Imagination Station was a huge relief. ToQGer was really the season where Yasuko Kobayashi either burnt out or just gave up writing a good story. 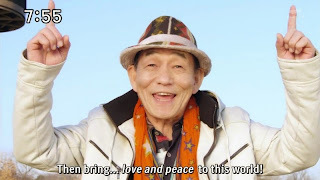 Ninninger ended up having so-so episodes, some of them were entertaining but I felt like that trying to force the season into the VS. Continuity instead of being standalone was due to ratings. Now this time after a few episodes of Zyuohger I am really feeling positive in some way. So What's Up With Naming Gingaman... GINGAMAN and Lost Galaxy... LOST GALAXY?! After seeing Zyuohger's first episode, I felt writing this one. Why did the producers name Gingaman as Gingaman when the show doesn't have a space theme at all? I feel mixed about the show's title and even if I do love the series, there's part of me that says that Power Rangers Lost Galaxy lived up to its title better due to the series taking place in space. Gingaman as a series itself pretty much has the tree hugging theme or tribal themes but there's still the "lost galaxy" element in it. But the whole series ends up using mystical powers from another galaxy than having a technological theme. Lost Galaxy had the space theme going on but it wasn't really all that well-implemented. As a person who watched the Super Sentai seasons after Go-Busters, I really felt like Super Sentai had hit some time low when Kyoryuger, ToQGer and Ninninger came. It's very easy to say, "Well it's new, it's better, you're against innovation." but in truth Super Sentai doesn't get better or worse eveyr year as events like writer's inevitable burnout happens. You may also become a fan of an unpopular Super Sentai season. 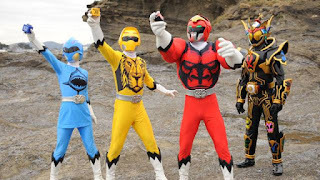 While I'm enjoying Zyuohger's first two episodes and it's written by new headwriter Junko Komura (I hope she really does well), I feel like writing about Super Sentai seasons that may have been considered as weaker points in the Super Sentai franchise. There's stronger Super Sentai seasons then there are also weaker Super Sentai seasons. It's important to realize that in any franchise that weaker and stronger seasons exist. You may be a fan of the weaker seasons and you may not be a fan of the stronger seasons. 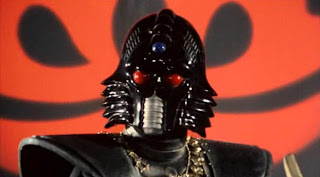 While watching the first three episodes of Zyuohger and looking how the Deathgalien space mafia plays their deadly game of destroying planets, I thought of writing an article on game-changing villains. So what's with their dangerous game? 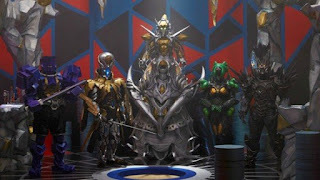 Let's take a look at the types of game changing villains we'd like to see in Super Sentai. I might be missing something so feel free to comment below. In the earlier Super Sentai, there was one formula used where a general gets destroyed early on then a new general arrives. Super Sentai seasons that used this formula as far as I can remember are Goranger, Gingaman, GoGoV, Hurricanger and Magiranger. This was also used in the earlier Kamen Rider series during the Showa era like the first Kamen Rider and Kamen Rider V3. Toei's Tokusatsu Series That Directly Endorse Safety Rules! Considering March is Fire Prevenation Month (and maybe the themes of GoGoV and Lightspeed Rescue come to place, maybe it's Matoi Tatsumi and Carter Grayson that comes to mind)... you might think of Tokusatsu having some Tokusatsu shows registered as part of Toei's list of properties that had safety rules attached to them. Chikyu Sentai Fiveman started out as an academic related, sibling-themed Super Sentai was also a public service announcement season. While it may have been considered a weaker entry during its time, I still consider this show to be worthy of a safety rules award. Many episodes in Fiveman were focused on teaching moral lessons to the children focused on the story. Aside from lessons on greed and responsibility, they also teach other lessons like not trusting strangers and the like. The show didn't really get that far though but the whole season felt like it was meant to focus on important values. 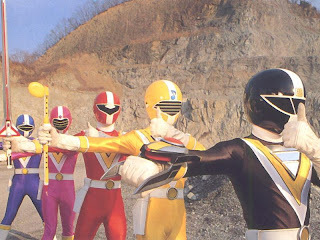 While watching Sun Vulcan and when I first discovered its existence, I remembered that the show actually had a turnover of responsibility as the red ranger. From episodes 1-23, we had Ryuusuke Oowashi. By episode 23, we had the appearance of Takayuki Hiba as the replacement red ranger at the end. From episodes 24 up to the last we had a totally different red ranger. 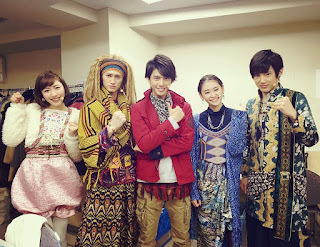 During my viewing of Sun Vulcan, I thought Ryuusuke wasn't really all that standing out as a red ranger. The first 23 episodes weren't really anything special and I thought that he's pretty "wooden". I find it weird that I'd think he was wooden considering that I don't find Kenichi Akama "wooden" or that I did enjoy Go-Busters. Maybe, I just am playing my biases here with the first Vul Eagle. So why did he leave? It was said that it's because actor Ryuusuke Kawasaki was a singer. He left the set on purpose to focus on his singing career.